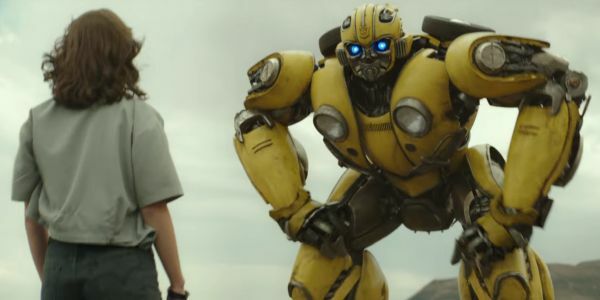 Bumblebee was a very different sort of Transformers movie, and while it didn’t put up Michael Bay like numbers at the box office, it was much better received by critics and others who had been more critical of the more explosion-heavy entries in the series. While more Transformers movies are certainly coming, we have little idea what they will actually be. However, if anybody is looking for ideas, they should ask Bumblebee director Travis Knight, because he’s apparently already got several potential movies mapped out in his head. Bumblebee told the story of the popular Autobot’s arrival on Earth where he befriends a teenage girl named Charlie, played by Hailee Steinfeld. The movie ends with Charlie and Bumblebee parting ways, as Bumblebee reunites with Optimus Prime. However, it sounds like, based on what he tells, THR, if Travis Knight gets his way, all of these characters would come together for a sequel. Steinfeld had previously told me in an interview that she would be up for a sequel, as would John Cena if the option was there, so it sounds like all the necessary humans are ready and willing. We were expecting a new proper sequel to the main Transformers franchise to hit this year but the film was pulled from the release schedule last year and we haven’t heard much about it since. Franchise producer Lorenzo di Bonaventura has previously stated that the next Transformers movie will aim to combine elements of the main series and Bumblebee, something that has the more emotional character story of Bumblebee while still having plenty of “Bayhem” for those who love the city-destroying action sequences the series is known for. As one of those people who preferred Bumblebee to any other Transformers movie, and was also a big fan of Kubo and the Two Strings, I would love to see Travis Knight return to make another Bumblebee movie. Whether or not it will happen we’ll need to wait and see, but we can be sure that something new will happen with the Transformers movies before too long.